A famous French post-impressionist artist of the 1800s will be the subject of an upcoming talk show series written and directed by a local Samoan artist. ‘First Impressions: Paul Gauguin’ (2018) is a five-part episodic talk show, written and directed by local artist and fa’afafine, Yuki Kihara. The series features panelists from Samoa’s fa’afafine community who discuss their first impressions of Paul Gauguin’s artwork. 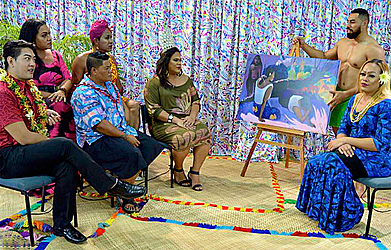 During the filming, the fa’afafine cast express their varied views on Gauguin’s paintings which are believed to represent the artist’s western perceptions of Indigenous Pacific/Tahitian culture, women and possibly fa’afafine. According to Kihara, by introducing the paintings only at the time of filming, they were able to capture an authentic and immediate reaction and according to the artist, the responses toward each of the five paintings were varied and reflected the myriad of opinions by individuals born and raised in Samoa. 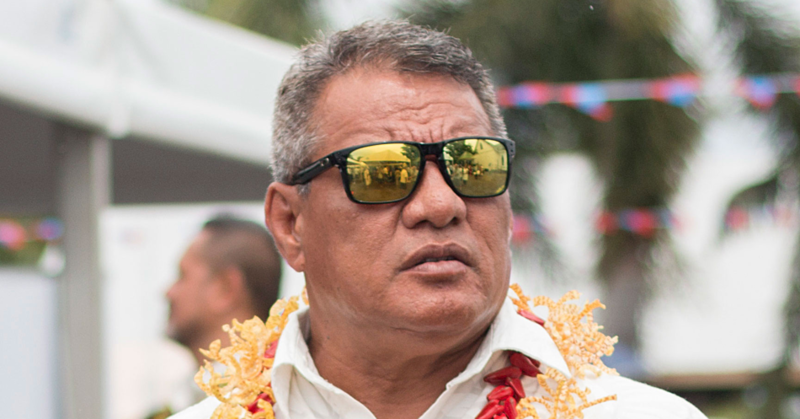 They were also expressed in either Samoan or English. 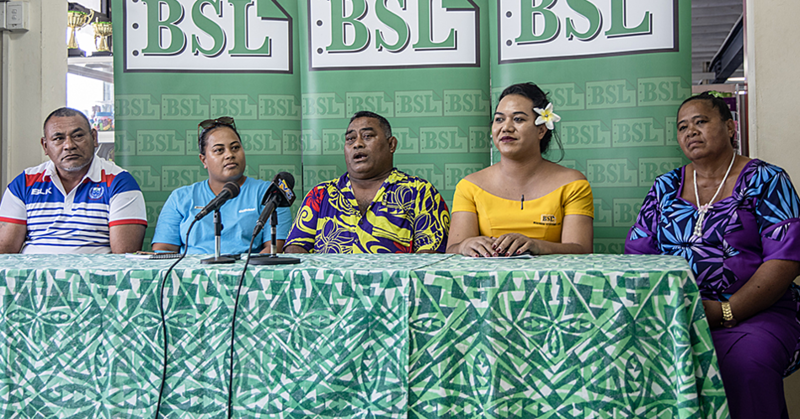 Speaking to the Samoa Observer, Kihara said the talk show was a platform she chose to highlight the dynamism and intelligence of the fa’afafine panelists. The series was moderated by Anastasia Fantasia Vancouver Stanley (aka Queen Hera), and features panelists Charlize Leo, Vanila Heather, Keli Tuatagaloa Laban, Dallas Siatini and Saunoa Poai (aka Sandora). Two of the five episodes will be presented during the International Lesbian, Gay, Bisexual, Trans, and Intersex Association (I.L.G.A) Oceania Conference held from 29th till 31st August 2018 at Taumeasina Island Resort but Kihara hopes that any viewers will be able to see themselves being reflected in the conversations. ‘First Impressions: Paul Gauguin’ (2018) has received local support in Samoa, from Samoa Stationary and Books, Frankies Supermarkets, Matniuel Screen Printing & Signs and the Centre for Samoan Studies at The National University of Samoa. 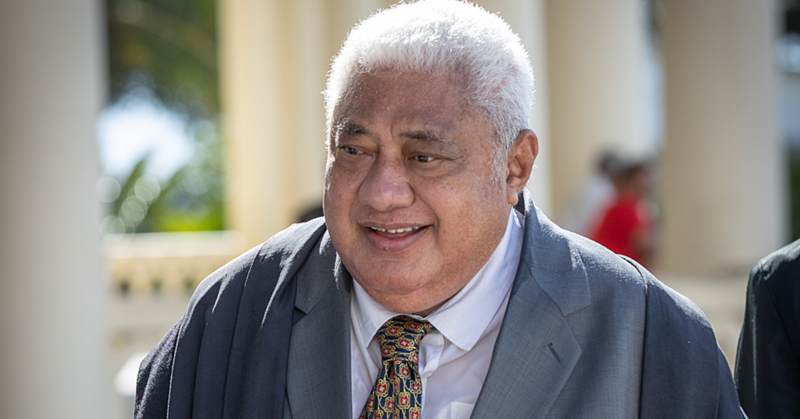 The filming of ‘First Impressions: Paul Gauguin’ (2018) which involved a total of 27 people including cast and production crew were conducted at the National University of Samoa. ‘First Impressions: Paul Gauguin’ (2018) was commissioned by the Fine Arts Museums of San Francisco and the Ny Carlsberg Glyptotek, Copenhagen presented in conjunction with a major exhibition 2 entitled ‘Gauguin: A Spiritual Journey’ at the Fine Arts Museums of San Francisco opening 17th November 2018 till 7th April 2019. The exhibition will tour the Ny Carlsberg Glyptotek in 2020.